How to Make Bootable Pendrive for Windows? 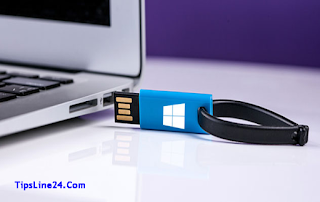 Home » PC Tips » How to Make Bootable Pendrive for Windows? How to make bootable pendrive for Windows? This is a common question for every computer user. Today I will show you how to make bootable pendrive for windows in few minutes. Before that we have to know, what is bootable pendrive? The Pendrive that can be used in Windows, That Pendrive is called Bootable Pendrive. You can make bootable your pendrive in many ways. But here I will discuss about make bootable pendrive with run command. Why We use Bootable Pendrive? We use Netbook/Notebook, Many of them do not have CD room. When we want to install Windows in our Netbook/Notebook or PC, Then can not deliver through the CD. Since our PC does not have a CD room or CD room is in Problem. Then We have to use External DVD room or install Windows through Pendrive.Windows can not be given by ordinary Pendrive, We need bootable pendrive. for this reason we need to use Bootable Pendrive. How to make bootable pendrive with run command? First The pen drive that you want to bootable You have to enter in the USB port. Then go to the Run option of your PC and Type cmd And press enter. Now Work is start..
1. First type Diskpart and press Enter. 2. list disk and press Enter. 8. FORMAT FS = NTFS (Press Enter) Here your pen drive will be formatted so wait for the format to be taken. Remove Password From Windows 10 within 20 SecondHow to Start Computer With a Mouse Click?